A Fire TV software update makes banner ads more intrusive. And you can't get rid of them. Last week, Amazon started pushing out a Fire TV software update that advertised a couple small, but pleasant improvements: The system keyboard now supports speech-to-text within apps, and a new magnifier option helps vision-impaired users read what's on the screen. But this update, to version 5.2.6.0, also comes with a trade-off that makes banner ads impossible to ignore on the Fire TV home screen. If you want to browse through Amazon's selection of videos, movies, and apps, you'll probably have to scroll past an advertisement along the way. This is an obnoxious step backward for an interface that had been making great strides. And unlike Amazon's ads on other devices, the Fire TV's banner ads cannot be removed, not even for a price. Using an Amazon Fire TV? Get used to encountering ads like this one. 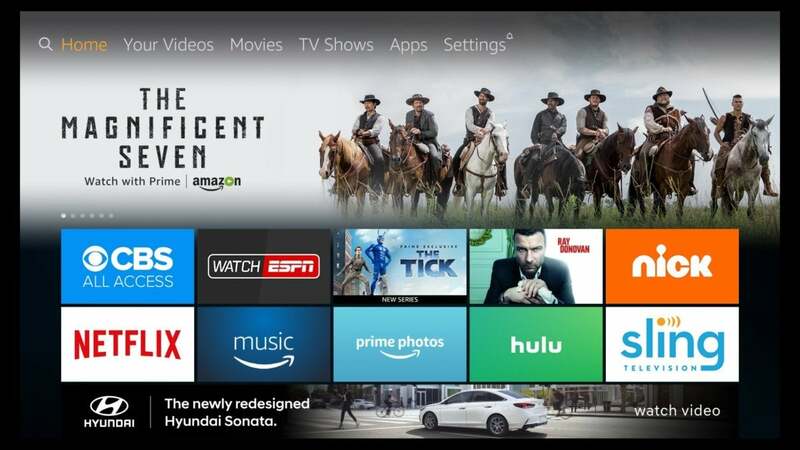 Banner ads aren't new to the Fire TV, but originally they resided at the top of the screen, and despite the prominent placement, they never got in the way of using the device. To highlight an ad, you had to scroll up from a given section, in the opposite direction from that section's menu items. 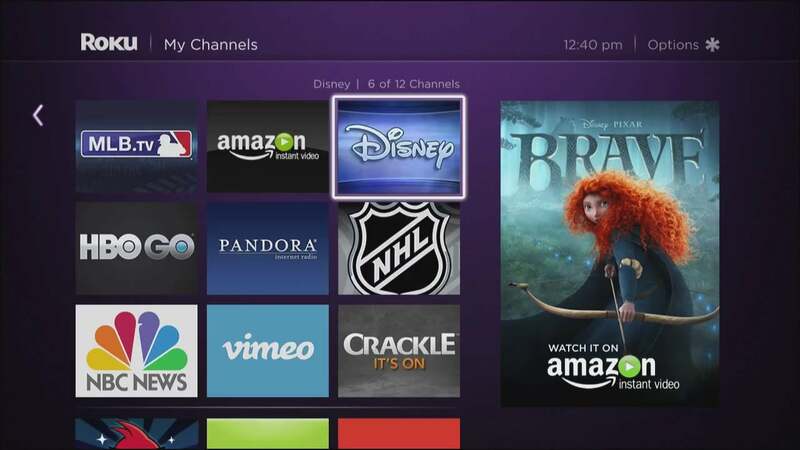 The old Fire TV interface: Ads are easy to see, but out of the way. Ads became even less prominent in the interface overhaul that Amazon launched last year. From the main menu, ads were only visible when you scrolled to the Fire TV's top navigation bar, with a banner ad appearing immediately above. Again, you would have to deliberately navigate one more click upward to highlight the ad. 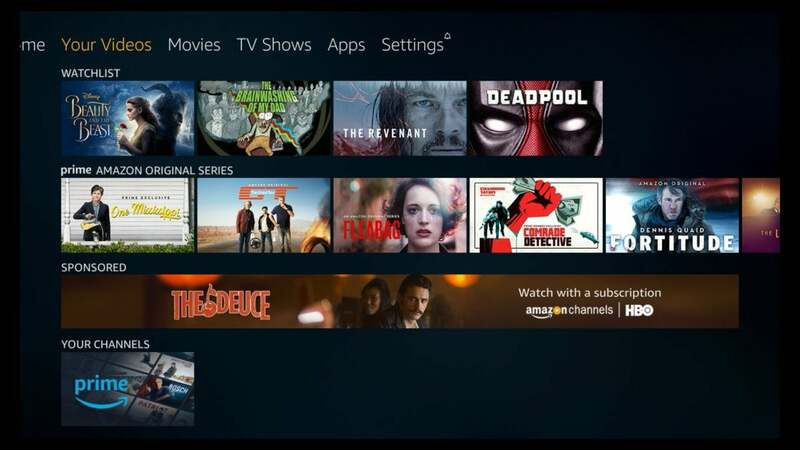 The latest update does away with subtlety, sticking a banner ad inside each of the Fire TV's menu sections for Home, Your Videos, Movies, TV Shows, and Apps. The ads appear underneath the first two rows of non-sponsored content in each section, and are also visible while you use the navigation bar. 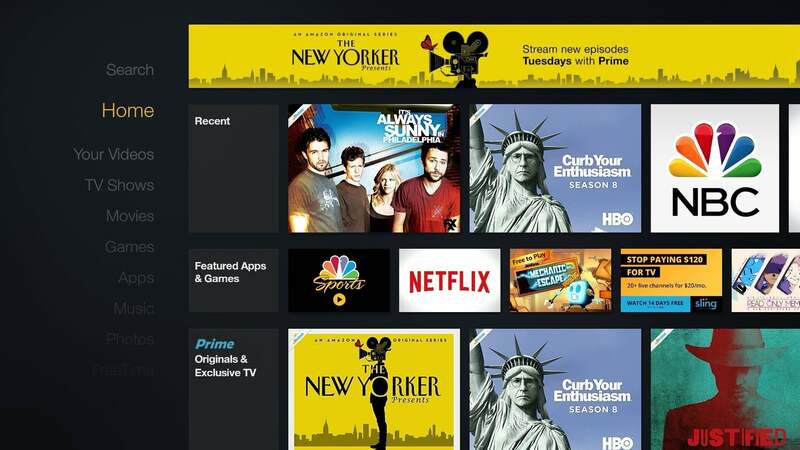 Because of this placement, you must now step over banner ads just to navigate the Fire TV's main menus. "Sponsored" banner ads are constantly getting in the way in the latest Fire TV update. It's worth pointing out that Roku devices have home screen ads as well. But again, Roku at least has the sense not to impinge on basic navigation, putting its ads along the far right-hand side of the home screen where users can only reach them deliberately. Also, Roku only advertises videos that users can watch on its platform. While that's been mostly true of the Fire TV ads I've seen so far, one ad for an automobile has already crept onto my home screen. 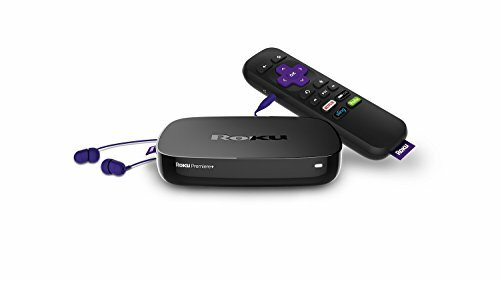 Roku also has home screen ads, but they stay out of your way. The new ad placement is especially frustrating in light of Amazon's other improvements to the Fire TV interface. 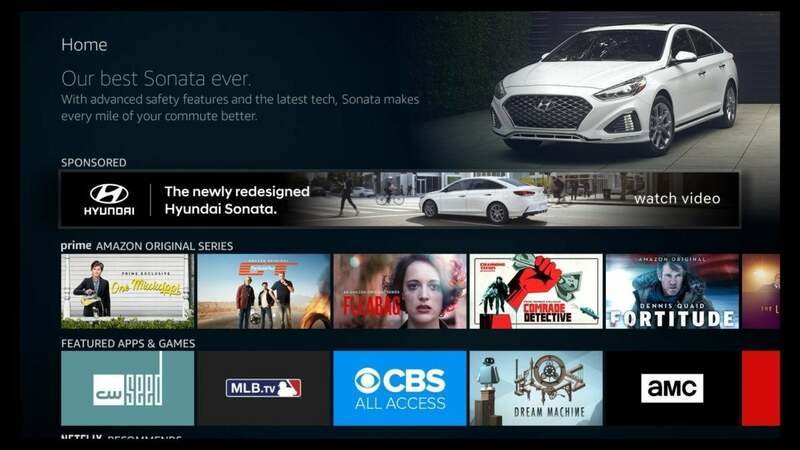 A couple years ago, the Fire TV's software was cluttered with menus and subsections, many of which had overlapping functions. Too often, it felt like Amazon was trying to overwhelm users with selections from its own Prime Video service, while making other apps less convenient to access. But Amazon weeded out those redundancies over time, while also making its interface a little less Prime-centric. Users can now create a list of favorite apps for easy access, and some third-party apps, including Netflix and HBO, have their own rows on the home screen. Amazon also eliminated menu sections for Photos and Music--giving them proper apps instead--and consolidated apps and games into one section. The Fire TV feels more efficient as a result. By moving banner ads into these menus, Amazon has made navigation less efficient. You can no longer see as many viewing options from each menu section because a banner ad is occupying the space where a content row used to be; and in general, everything takes a little more effort to reach. The ads become a persistent reminder that Amazon's business goals take precedence over your experience as a user. 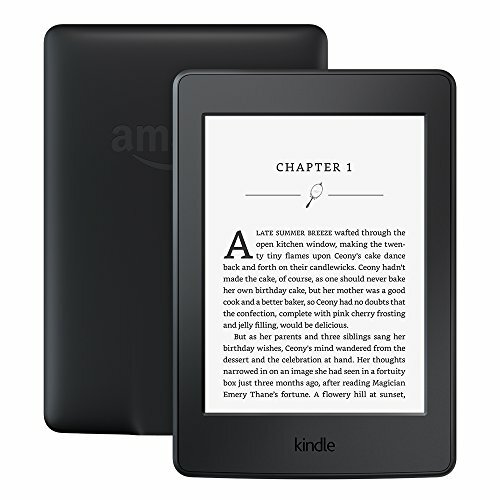 Advertisements are also built into Amazon's other hardware products, including its Fire tablets, Kindle e-readers, and Prime Exclusive smartphones. But with these devices, Amazon is explicit about how advertisements and "special offers" subsidize the hardware. Users can even pay a little extra to remove the ads, either during the purchase or at any point after. 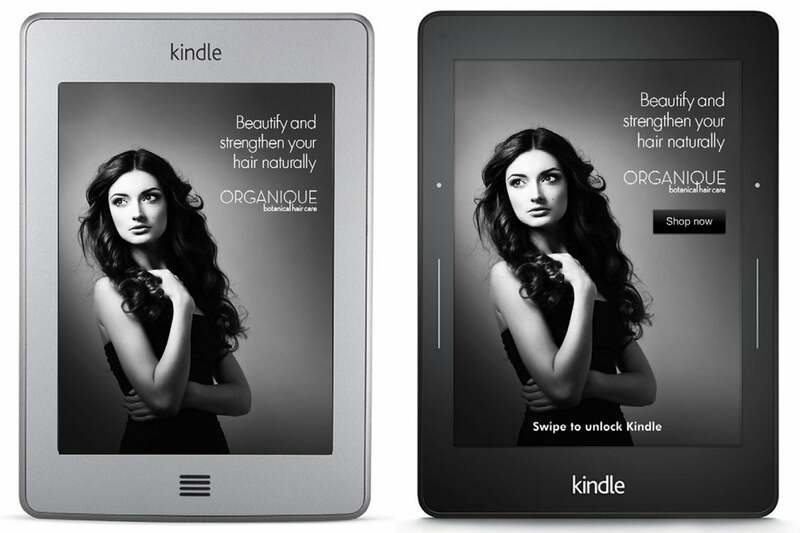 Amazon Kindle owners can opt for a $20 discount by tolerating lock-screen ads. No such option exists for the Fire TV, and ads were never part of the deal in the first place. If Amazon is going to make users navigate around advertisements as part of the core experience, the company should offer lower prices for the Fire TV in return, along with an option to remove the ads for a one-time fee as it does with its other devices. Otherwise, Amazon should go back to the drawing board on how it presents ads. Surely the company can come up with something that gets the message across without getting in the way.